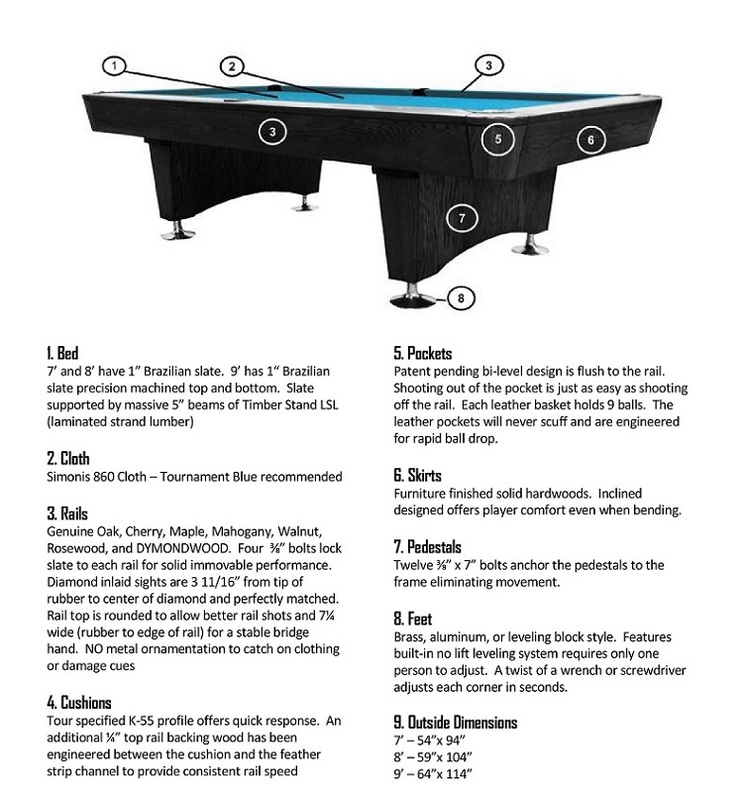 DIAMOND BILLIARD PRODUCTS INC. most popular table is the 9' PROFESSIONAL. Precision fitting frame. Developed by professional players with skilled engineers and designers. Meets or exceeds all specifications from the Billiard Congress of America. Used at major sanctioned tournaments across the United States. Performance engineered to provide exceptional play capability in both commercial or private usage. Matching ball return system and table light fixture available. Proudly made in the United States. 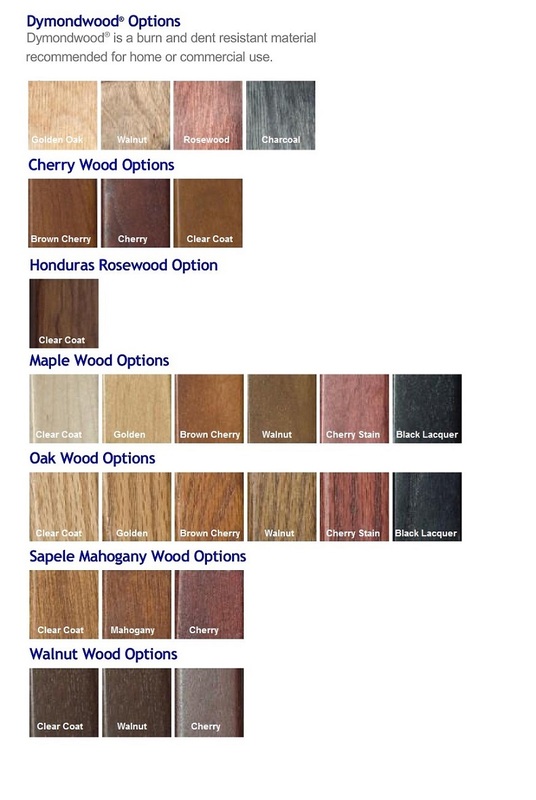 Once you have placed your order we will be contacting you to review and offer design guidance on your selection of wood finish. Complimentary matching Diamond triangle ball rack is included with each Diamond pool table. Exotic woods Such as Mahogany and Cocobolo are available upon request at an additional cost.